The London Book Fair has revealed this year's line-up of authors. In addition to the LBF Authors of the Day – Caryl Phillips (Tuesday), Seno Gumira Ajidarma (Wednesday), Holly Bourne (Thursday), Raymond Antrobus (Poet of the Fair), David McKee (Illustrator of the Fair) and Jeremy Tiang (Illustrator of the Fair) – a wide range of authors is attending LBF next month. 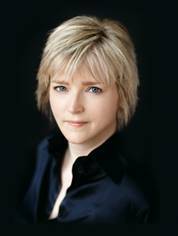 Internationally bestselling authors attending include Karin Slaughter (pictured), whose crime fiction has sold 32 million copies and been translated into 37 languages; Ian McEwan, whose new novel, Machines Like Me, is out in April; Deborah Moggach, whose new novel The Carer is out in July; Kit de Waal, who has a YA coming of age novel out in July; and Elif Shafak, who will reveal her selection of some of the best women writers working today as part of a new showcase of UK writing. Meanwhile, one of the most hotly anticipated debut authors of 2019, whose first novel will be released in 25 languages, Lara Prescott, will be at the Fair ahead of release of The Secrets We Kept in September 2019 (Hutchinson), which tells the backstory of banned literary masterpiece Dr Zhivago; the film rights have already been sold to the producers of La La Land. One of Russia's bestselling authors, Guzel Yakhina, author of Zuleikha, will be at the Fair as part of a line-up of Russian authors hosted by Read Russia. Having already sold 500,000 copies in Russia and won numerous awards, Zuleikha is released in the UK on 7 March (OneWorld). Henry Firth and Ian Theasby – authors of BOSH!, the highest selling vegan cookbook of all time and the first ever vegan cookbook to get to number 1 in the UK – will be at the Fair ahead of the release of their second cookbook, BISH BASH BOSH! (April 2019, HQ); and broadcaster and journalist Emma Barnett will be at LBF ahead of the release of Period (September 2019, HQ), an agenda-setting manifesto to remove the stigma and myths continuing to surround the female body, with HQ HarperCollins providing free tampons and sanitary towels in the toilets at LBF. Singapore-born author Sharlene Teo will be at the Fair ahead of the paperback release of her celebrated debut, Ponti (April 2019, Picador). Behaviour-change specialist and author Shahroo Izadi, author of The Kindness Method (Bluebird), will be at the Fair to take part in the UK Book Blog Awards. Meik Wiking, author of Little Book of Hygge, will be at the Fair ahead of the release of The Art of Making Memories (September 2019, Penguin Life). Other authors appearing include Daisy Buchanan, whose new book celebrating the ways in which women connect with each other, The Sisterhood, is out in March (Headline); Caroline O'Donoghue, author of Promising Young Women (Virago) and creator of the Sentimental Garbage chick lit podcast; Wellcome Book Prize longlistee and short story writer Jessie Greengrass; Sam Copeland, whose children's book, Charlie Changes Into a Chicken, is published this month from Puffin and already sold in 21 languages; Frank Tallis, author of The Incurable Romantic (Abacus); and Christopher Paolini, whose latest fantasy novel, The Fork the Witch and the Worm, is out now (Penguin). 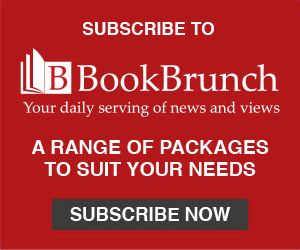 Jacks Thomas, director of The London Book Fair, said: "We are so pleased to be able to host such an incredible range of authors at The London Book Fair 2019. From bestselling writers who already have a vast international reach, to exciting debuts from the UK and around the world, The London Book Fair is the place to find the biggest books that readers are yet to discover and the trends shaping the international industry today. LBF is the place to talent spot."